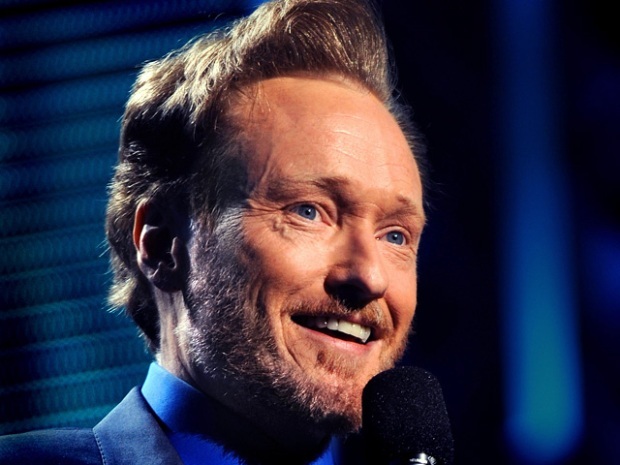 LEFT PHOTO: NEW YORK - MAY 19: Conan O'Brien performs the TEN Upfront presentation at Hammerstein Ballroom on May 19, 2010 in New York City. RIGHT PHOTO: EW YORK - OCTOBER 29: Musician Max Weinberg attends the 25th Anniversary Rock & Roll Hall Of Fame Concerts Official Gift Lounge produced by On 3 Productions at Madison Square Garden on October 29, 2009 in New York City. 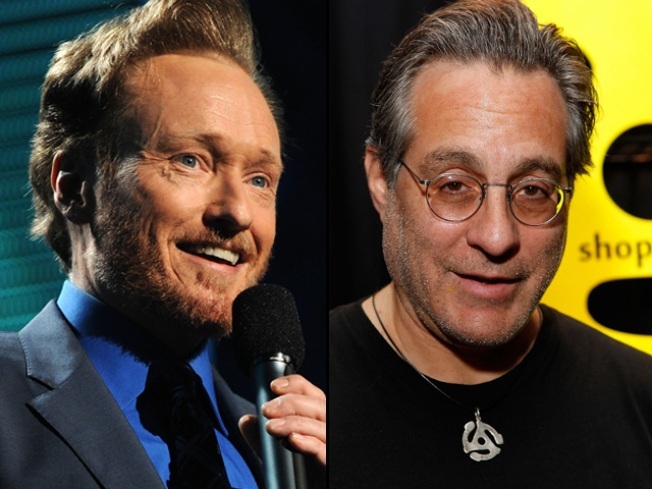 Max Weinberg, who played drums for Bruce Springsteen even as he led the band on Conan O'Brien's late night talk shows, won't be following the red-haried comic to his new program. The official word came after months of rumors that have circulated since O’Brien announced he would host a new show on TBS. Guitarist Jimmy Vivino will step in as bandleader, the role he often performed when Weinberg took breaks from the show to tour with Springsteen's E Street Band. James Wormworth, who beat the skins when Weinberg was out, will be the group’s new full-time drummer. Vivino broke the news in an interview with the St. Louis Riverfront Times. E Street Band guitarist Steve Van Zandt told Rolling Stone that he’s not sure what caused the split. Weinberg was Conan’s bandleader from the very beginning of "Late Night With Conan O’Brien" in 1993. Weinberg continued the role during Conan’s stint as the host of "The Tonight Show," but was the only member of the band to not go on the “Legally Prohibited From Being Funny on Television” tour earlier this year. Instead, he toured with his own big band. Selected Reading: Rolling Stone, St. Louis Riverfront Times, TeamCoCo.com.